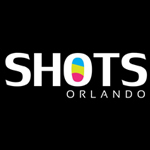 As the SHOTS brand began to grow, it became evident that Orlando was a great market to grow with. Orlando is at the epicenter of local growth and a booming tourism market. In a city widely known for its thrills, we’ll provide the exciting experience the city’s nightlife has been missing. With a few years of experience under our belts, we are proud to call Downtown Orlando home.